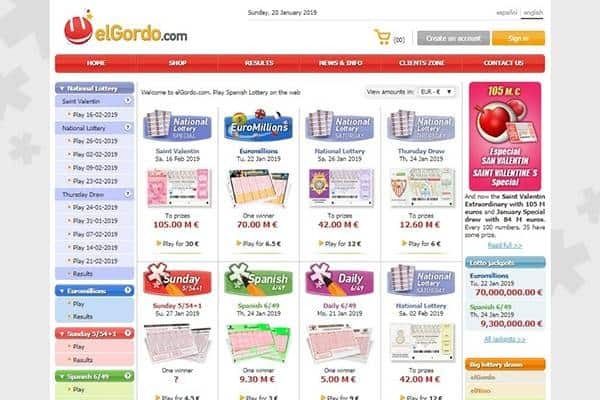 Before starting an online lottery system, elGordo.Com have had years of experience selling lotteries since 1860. elGordo.com is managed by TWL Spain which is a private company registered in Spain. elGordo.com is actually one of the biggest online lotteries in the world and has managed to draw a lot of attention to themselves by providing a wide variety of games and by making sure that they pay out winners at the appropriate time. As good as this company sounds, ElGordo.com does not in any way lay with their taxes as they deduct a whooping amount of 20% from any winnings obtained from playing a game on their site. They also do not offer any other kinds of lotteries except the Spanish lottery which limits the choice of games to only a certain kind. One thing that is very impressive with elGordo.com is the design of their website. The website is very easy to navigate, mobile friendly and pretty straight forward, no sudden ads or pop ups. The website actually makes it easy for one to participate in any of the selected games on the website. It is also very important to note that as much as the website and the games in it are designed for both novice and professional the games are restricted to players above the age of 18. 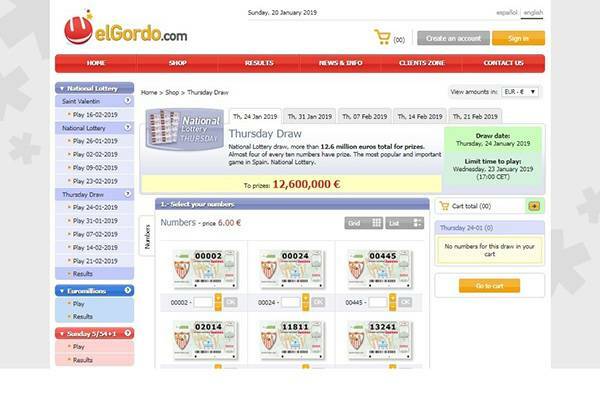 There is a wide variety of games at ElGordo.com of which all of them are Spanish Lotteries but they have been guaranteed to put a smile on some faces. 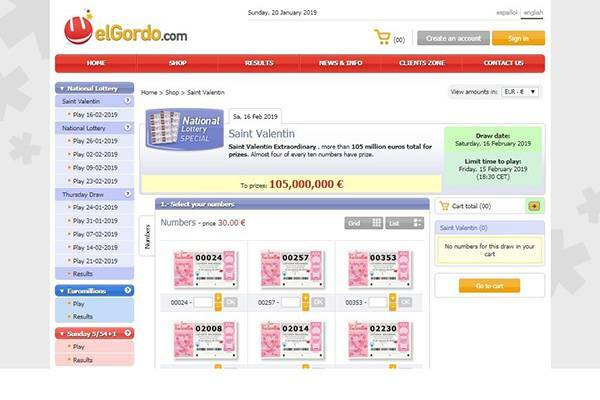 The lotteries offered in ElGordo.com include; National Lottery which takes place on Thursdays and Saturdays and also includes the December special. Also available on the website are; El nino which takes place mostly on January, Sunday lottery, Spanish 6/49, Daily 6/49, football Quiniela and el Gordo lottery. There is also available on the website the Euro millions which is a regional lottery. To participate in any of these lotteries, you have to simply register and create an account. Registration is a very important process because without registration you would not be able to view the methods of payment. Every game in the website comes with their different set of rules but participation in any of the games cost from as low as 3 euros to as much as 30 euros but you are guaranteed a sum ranging from 200 euros to as much as 105 million euros if you win in any of the games of course this would come with their charges which is unfortunately not listed on the website. There is no form of mobile app for any operating system although you can play the games comfortably from your mobile phone and as stated earlier, their website is well built and makes room for easy navigation among the pages on the website. There are currently no promotions listed on their website. As stated earlier, there is no way to find out their mode of payment till you actually register and own an account, nevertheless, getting a hold of your winnings have been made really simple. For prizes over 3000 euros, it will be paid directly into your bank account via a transfer and for winnings over 3000 euros the winners would have to go to their physical location to pick up their cheques. They have a FAQ that is beautifully positioned on the home page making it very easy for people to see thus having their questions answered without much hassles. They have their contact us page at the bottom of the homepage as well. This helps with easy navigation. There’s the option of live chat missing. 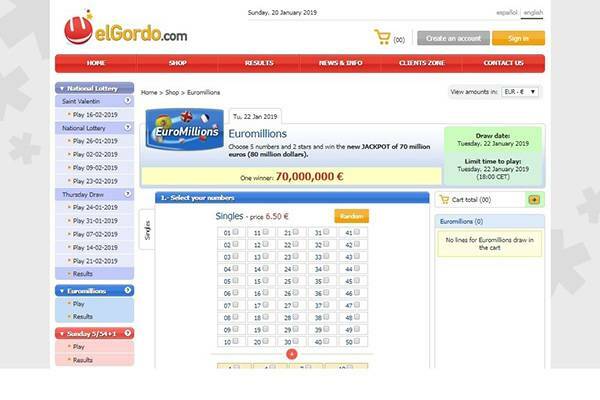 Is elGordo.com Lottery legitimate or fraudulent? The site is actually a very legit website as it is 100% secured and verified by Norton secured. They also make sure that all your information is kept safe and not transferred to a third party. This online lottery simply offers Spanish game so if you are looking for variety of lottery games from different countries then this is not for you. 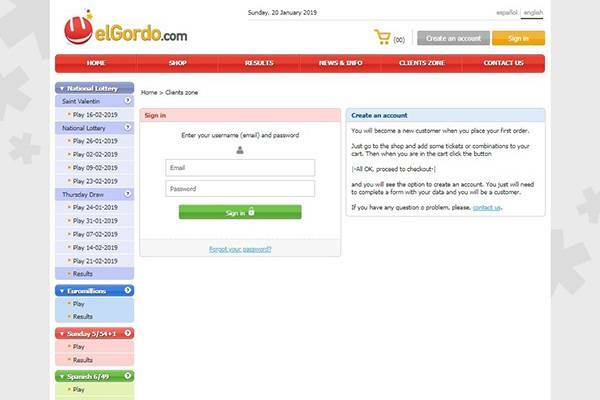 Otherwise, the Elgordo.com is a safe site for making money online through lottery.